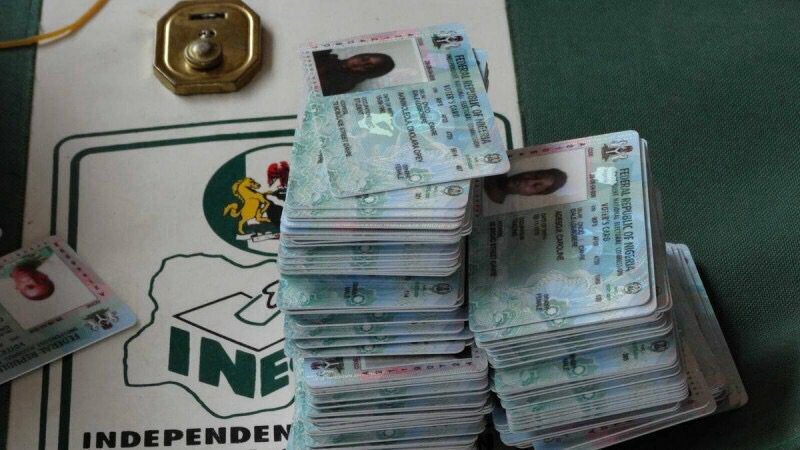 Some youths who are aggrieved over the purported irregularities of the primary elections in Okobo Local Council Area of Akwa Ibom State have invaded the Independence National Electoral Commission, INEC, office in the area and allegedly carted away about 2,045 Permanent Voter Cards, PVCs. The National Commissioner in charge of Akwa Ibom, Cross River and Delta States, Dr. Mustapha Lecky, made this disclosure while addressing Newsmen on Tuesday at the Commission’s Secretariat at Udo Udoma Uyo, the Akwa Ibom State capital. Lecky explained that, “The PVCs were stolen in Okobo local government. There were 2045 PVCs, we have visited the Okobo local government area of the state and we can see a lot of security lapses around the local government office. He further explained that the theft of the PVCs was a futile effort on the part of the hoodlums since the names, pins and photographs of the legitimate owners were pasted on the cards and can never be transferable. The only thing is that it is an additional cost on the side of INEC. “But still we have to go after those culprits who were responsible so that we can apprehend them and punish them according to the law,” he said. He assured that the current leadership of INEC was doing everything to ensure that every vote counts during the elections. He also condemned some politicians for kick-starting campaigns before November 18th, date originally fixed by the commission stressing “they have defied INEC’s regulations”. The state Resident Electoral Commissioner, Mr. Mike, in his remarks assured that he would ensure that credible and transparent elections are conducted in Akwa Ibom state. “Under the current leadership under my watch in this state and with our Commissioner of Police, we will maintain absolute, unqualified neutrality to provide a level playing ground to leave behind a legacy and electoral process where attitude are shaped” Igini assured.